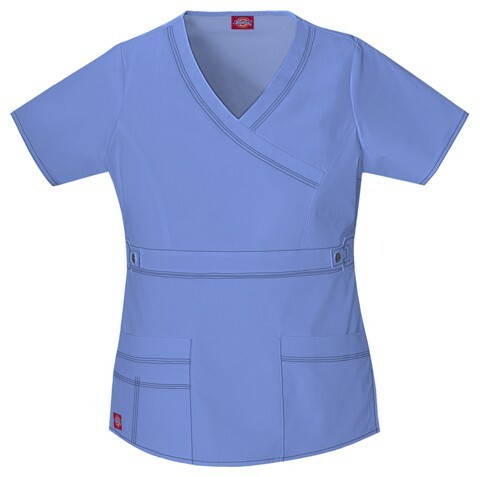 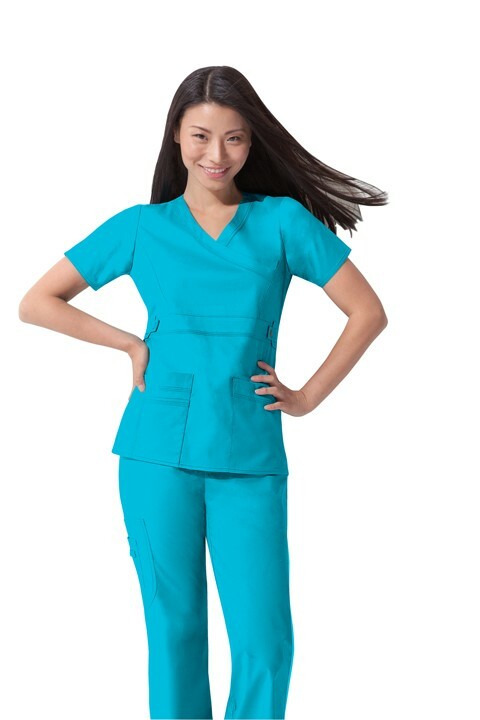 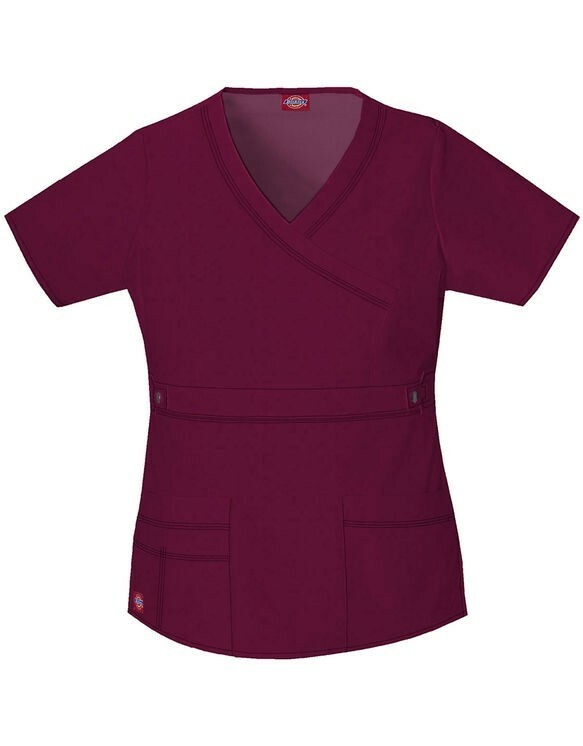 A Contemporary fit V-neck top features multi needle contrast topstitching, front yoke for a sporty look, a chest pocket with a reinforced pen slot, a cell phone pocket, multi sectional utility slots, two roomy patch pockets with an I.D. 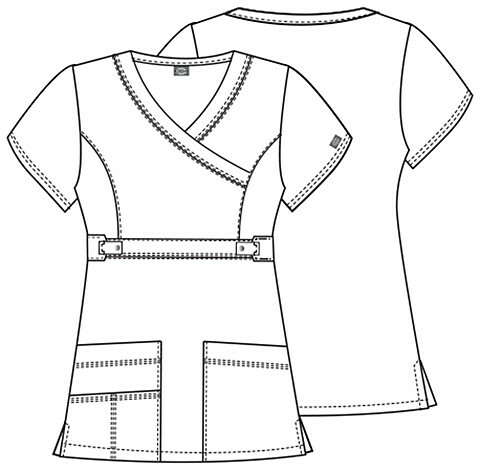 bungee loop and side vents. Center back length: 24 1/2". All colors except white have pewter stitching. White has white stitching.